In this blog post, I cover a new casual dining restaurant in Ansal Plaza Delhi by the name of Cafe Hawkers. A wise man had once said that food is not rational; food is culture, habit, craving, and identity. When it comes to street food, in particular, I couldn't agree more! 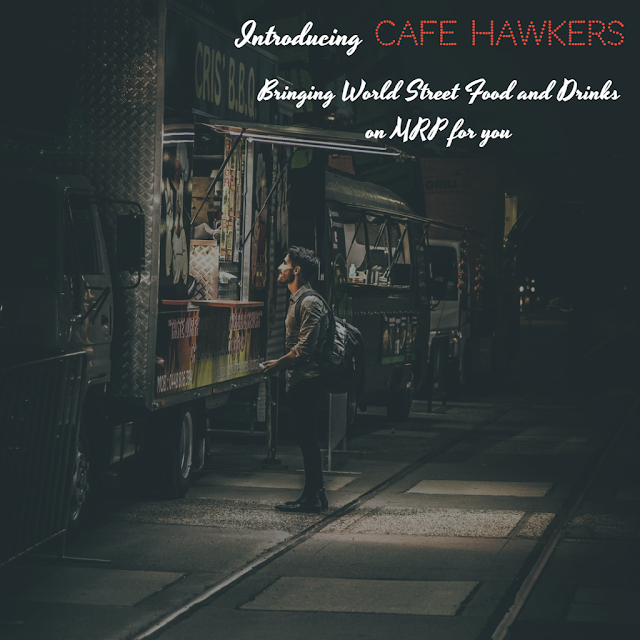 Taking a cue from the popularity of world street food, Cafe Hawkers intends to bring to you a unique casual dining experience with the focus on two keywords - authenticity and good hygiene. What I truly loved at the newly opened restaurant is their carefully designed menu, courtesy Chef Devender Singh. The menu curates popular street food options from around the world like the Classic Mexican Burrito, Food Truck Spring Rolls, Smoked Chicken Pizza, Potato Mac N Cheese, Chatpati Kamal Kakdi Ki Chaat, and many more. 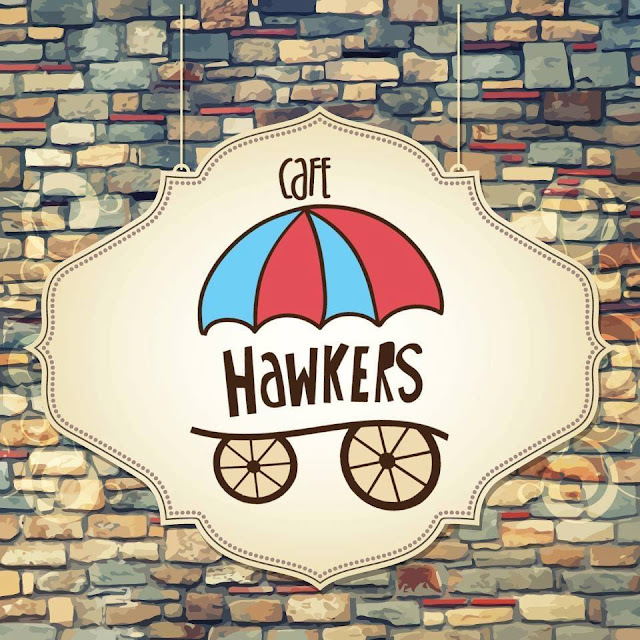 The brainchild of restaurateurs, Manik Kapoor and Rajat Kapoor (who happen to be real brothers as well), Cafe Hawkers comes from the same group that owns the Gola Sizzlers, Delhi's oldest sizzler makers. 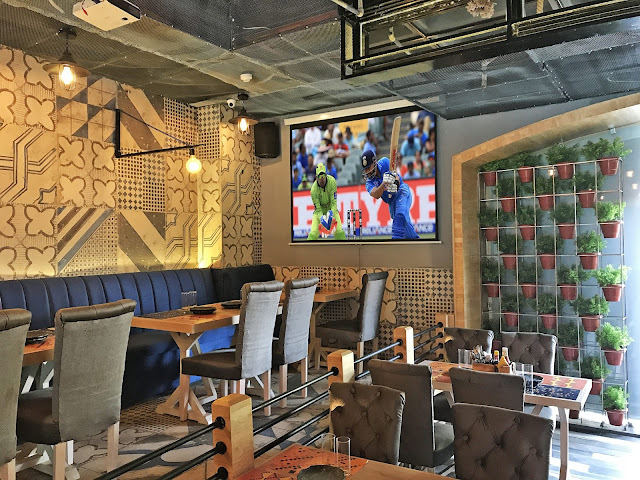 My top pick at Cafe Hawkers has to be the Nizami Chicken Tikka (its recipe ingredients includes beetroot marination); pair it up with a chilled beer and you have a potential winner at hand. 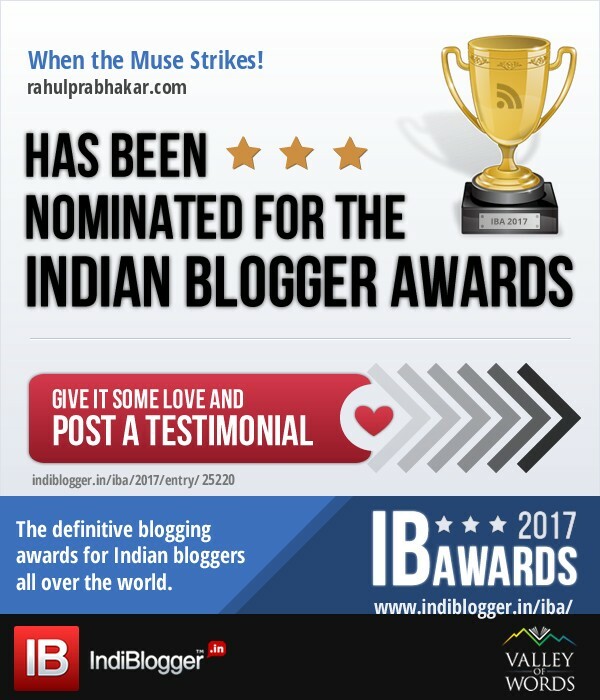 Some other recommendations will be the sumptuous Mushroom Galouti Kebab, crispy Butter Garlic Prawns, and the piping hot Chicken Tikka Sizzler. The quality of meats in all the preparation was top notch. For desserts, you might want to try the Brownie Fudge Surprise. Coming to beverages, Oreo Caramel Shake is an absolute must-have. You can also go for some signature mocktails such as Passion Fruit Cooler, Virgin Colada, Kiwi Delight, or Virgin Watermelon Mojito. Another highlight at Cafe Hawkers is that all alcoholic drinks are offered at their maximum retail price (MRP). For instance, a pint of Kingfisher beer will only cost you a paltry ₹ 55. Now, how cool is that! Spanning across 2,000 square feet in covered area, the casual dining restaurant can easily accommodate up to 50 people at any given point in time. They are even planning to offer alfresco seating soon. The restaurant is open every day from 11 A.M. to 11 P.M. and in case you're in no mood of leaving your blanket, you can also get the food delivered to your home via the Swiggy Food Delivery app. Cafe Hawkers has certainly set the bar pretty high with its innovative world street food concept. I cannot wait to visit them again!